What a problem! Is there such a thing as too many surfboards? Not anymore, thanks to this 3-tiered, solid wood surfboard rack that you see on the left of the "after" picture, below. This rack has a pretty simple design and is solid wood, which makes it sturdy and reliable. It comes with all the hardware you need -- just four screws and wood plugs for cosmetic appeal. 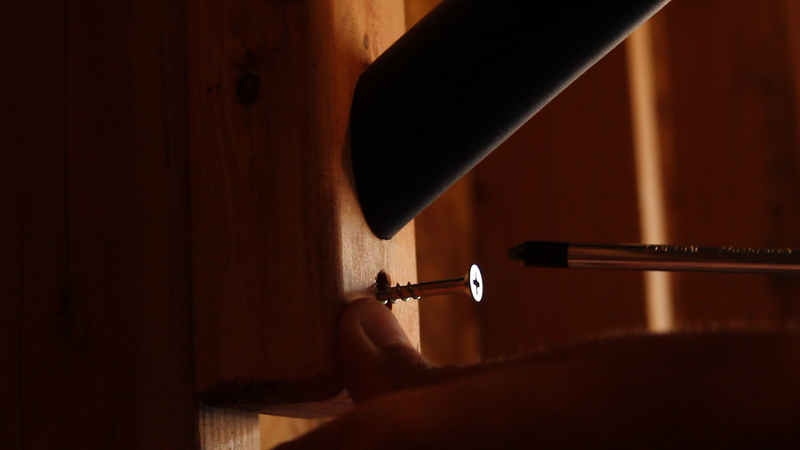 The holes for the rack are also pre-drilled, with spaces for the plugs. 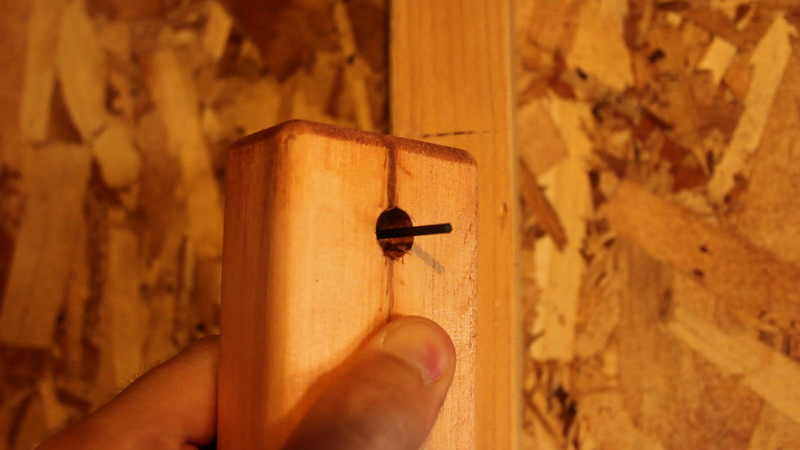 The first step is to always find a stud -- either using a stud finder, knocking on the wall and listening for a stud, or checking an electrical box to see which side is screwed into the stud (see video for more information). 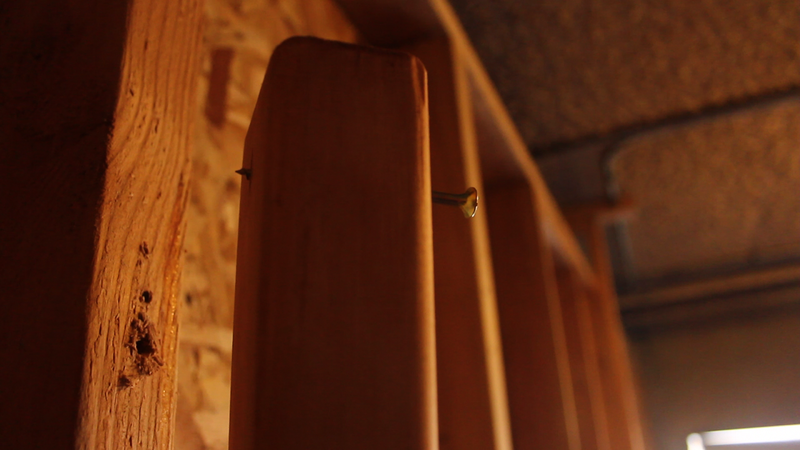 Once you have your stud, pick a spot on the wall, making sure your longest and shortest boards will fit. The main part of these racks are thick, so you'll have to use a mechanical pencil or a small drill bit to make your mark on the wall. 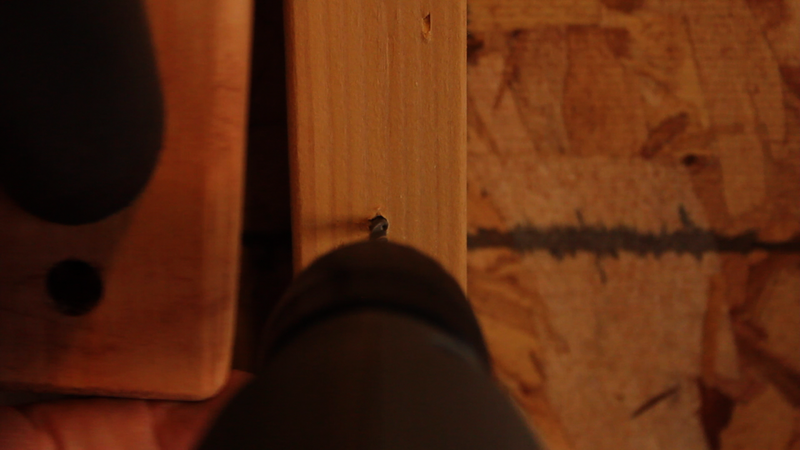 Move the rack away from the wall, and drill in deep enough for the screws to fit, keeping in mind the depth of the rack. I used a drill bit to make my mark on the wall. I used a handheld screwdriver to install the screws because I like to hear and feel the wood in case anything doesn't fit quite right or splits. You can check your tightness afterwards with an electric drill if desired. 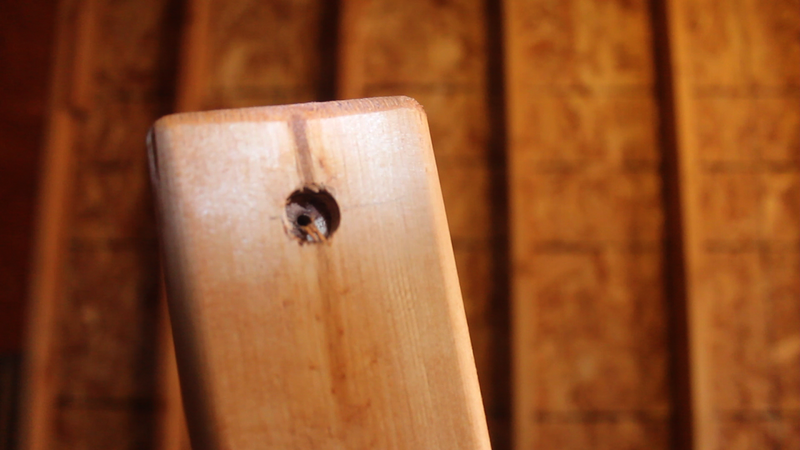 Start the screw into the rack before you put it up against the wall, because it's a tight fit (for a good hold). Leave the top loose enough to swing the bottom side away to make your mark (don't forget to tighten it after the bottom hole is drilled though!). Mark the bottom, drill and tighten the same as you do the top. For the second rack, use a level to mark the top, and follow the same steps to secure it to the wall. 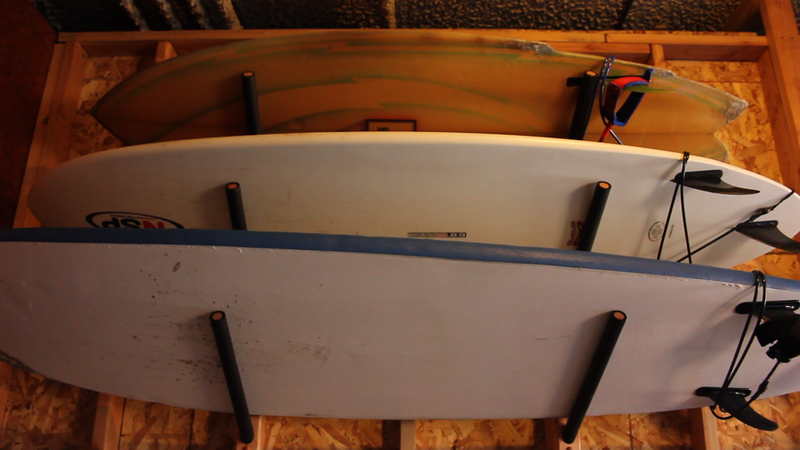 Once you're done, hammer in the little wood plugs so it looks nice and load up your boards! Here's a video of the installation, as well as an extended version with problems I ran into during installation. I genuinely love this rack, and every time I walk in the garage I take a moment to enjoy one of my favorite things in life displayed so beautifully...is that weird?